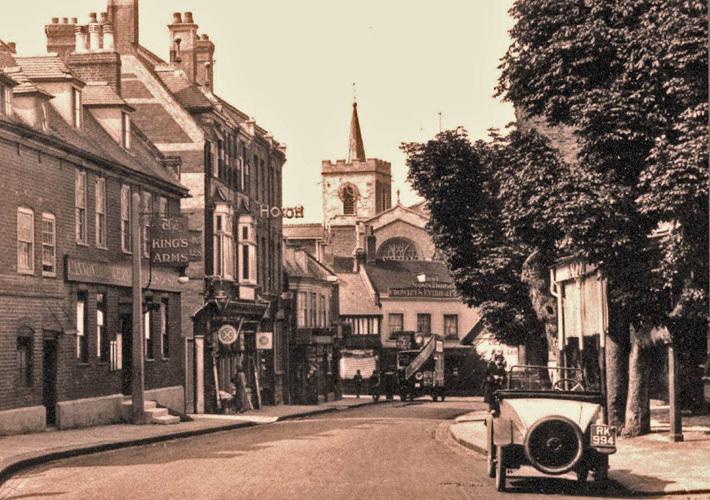 The Carshalton and District History and Archaeology Society, originally called the “Carshalton Historical Society” and later called the “Beddington, Carshalton and Wallington Society” was founded in 1920. *This refers to working with the authorities to preserve scenic or architectural beauty. The society does not have its own conservation facilities. These remain the aims of the Society. Local Excavations – Excavations are periodically carried out Carew Manor and its Gardens (under the direction of John Phillips) and St Philomena’s School and All Saints Church (directed by Andrew Skelton, previously a member). Conservation and Preservation – The Society’s Research and Preservation Committee works to ensure the preservation of buildings of local interest and historical value and areas of scenic beauty. This committee has a representative on CAAGS (Conservation Areas Advisory Consultative Group Sutton) set up by the London Borough of Sutton. Planning applications within conservation areas are considered and recommendations made. Since 1921 the Society has been active in the field of archaeological excavation and publication. It has carried out a number of excavations in Carshalton, Wallington and Beddington, and has assisted in the excavation of Beddington Roman villa. Members have also helped in historical and architectural research in the Carew Manor area, as well as Carshalton’s West Street, Roman and Iron Age site. “A History of the Beddington, Carshalton & Wallington Archaeological Society” by Dr Beryl Palmier is available, please see Publications. For 86 years the Society was called “The Beddington, Carshalton & Wallington Archaeological Society”, but in 2006 it was felt appropriate for Sutton and Cheam to be covered by our Society as they were not covered by a historical society. Hence the change of name to “The Carshalton and District History and Archaeology Society” – which now represents the whole of the London Borough of Sutton.